Welcome to Elite Lacrosse Tournaments, one of the leading high level Lacrosse tournament promotion companies in the US. Our events are held year round throughout the country. 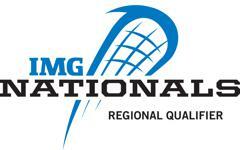 All Elite Lacrosse Tournaments are IMG National Qualifiers. Come play in the most well run events in the country and challenge yourself against the best competition. @GWarmothWFTV @WFTV Were you able@to look at Blacks Island? @ConeHeads8020 Any word on Blacks Island? Can anyone see feom CSB if the structures are still standing? Elite's Summer Events are all almost full. Join us in Peachtree City, Lexington, or Plan this summer. Spaces are filling fast for all 3 Elite Fall events. Get your spaces today!! !